I was sent this item for the purpose of review. All thoughts are my own honest opinion. Photos mean so much to me, how about you? I probably take more photos than your average person, being a blogger and someone who utilises social media a lot, but I’ve always been like this – always snapping shots whether this was on holiday, a messy night out or a night in. The majority of my photos are stored digitally. I do occasionally get a few printed out but this is very rare. What if I told you that you could display those digital photos easily? Enter the Nixplay Iris. 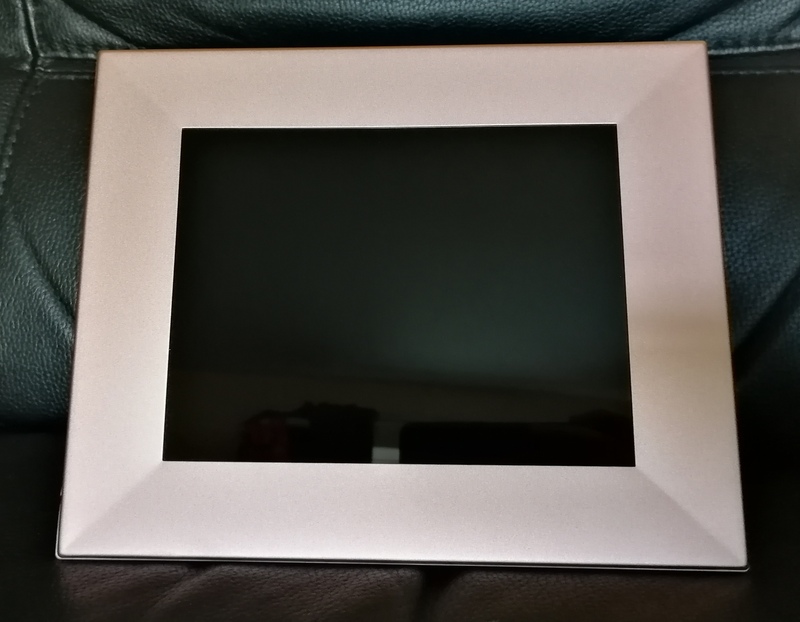 This Wi-Fi cloud photo frame is a great way to share all of your digital photos. Create an account on the website or even the app (available on iOS and Android) and then use the app to help you share the photos you want. You can directly upload images from your computer, phone or social media and you can even give family members access too. I’ve set up a playlist of photos which we have been playing – and I’m constantly adding to it. The app is super functional – allowing you to send photos, view photos, view your frames and also add friends. The cloud can hold 10GB of storage for free (higher storage is available for a monthly fee) and the ability to connect up to five frames. 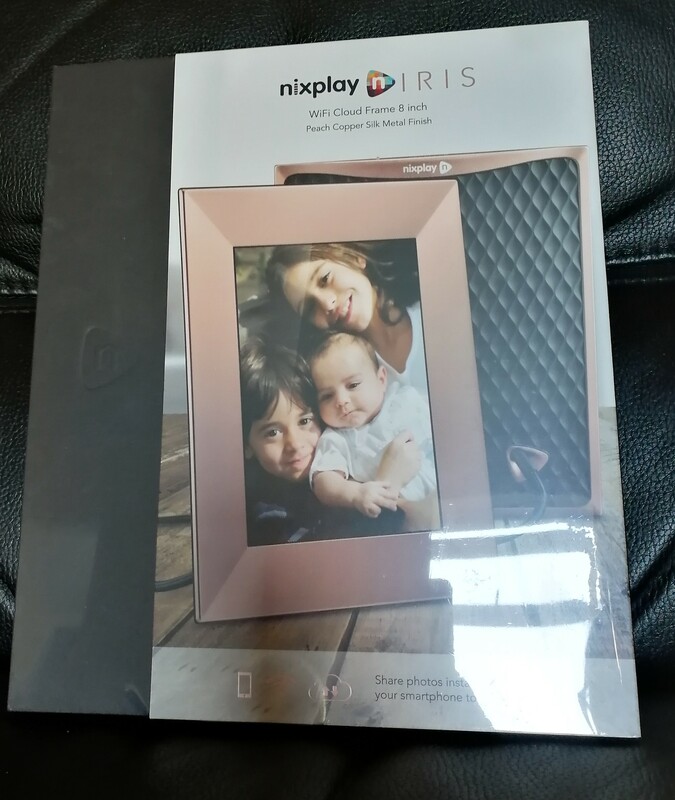 We were sent the Nixplay Iris Wi-Fi Cloud 8 inch in the Peach Copper colour – although there are also other colours to choose from and it has a stunning silk metal-finish. It plays photos in 4:3 High Resolution IPS Display. 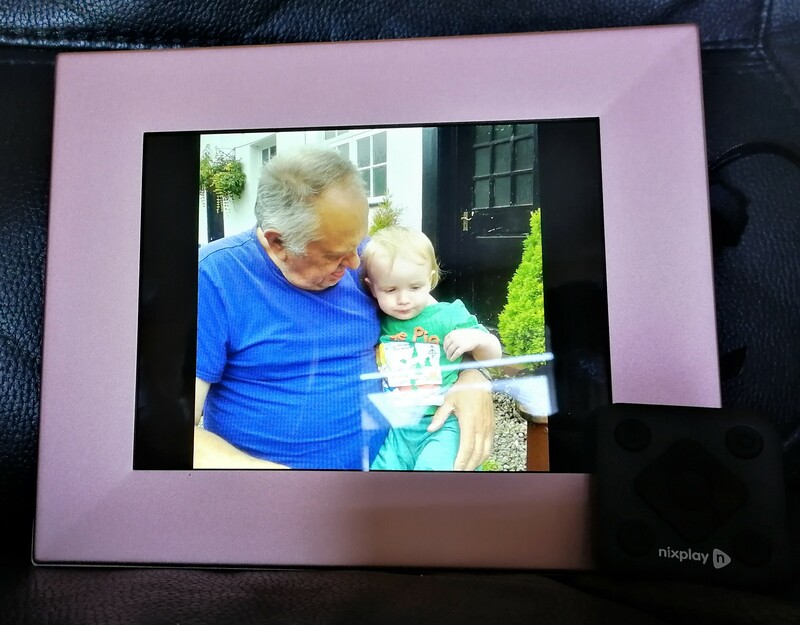 It has a slim, cable-stand design which took a little bit of getting used to but once I managed it, the frame stood up with ease and can be used in portrait or landscape mode. You can also play videos on the frame but these are iOS only. 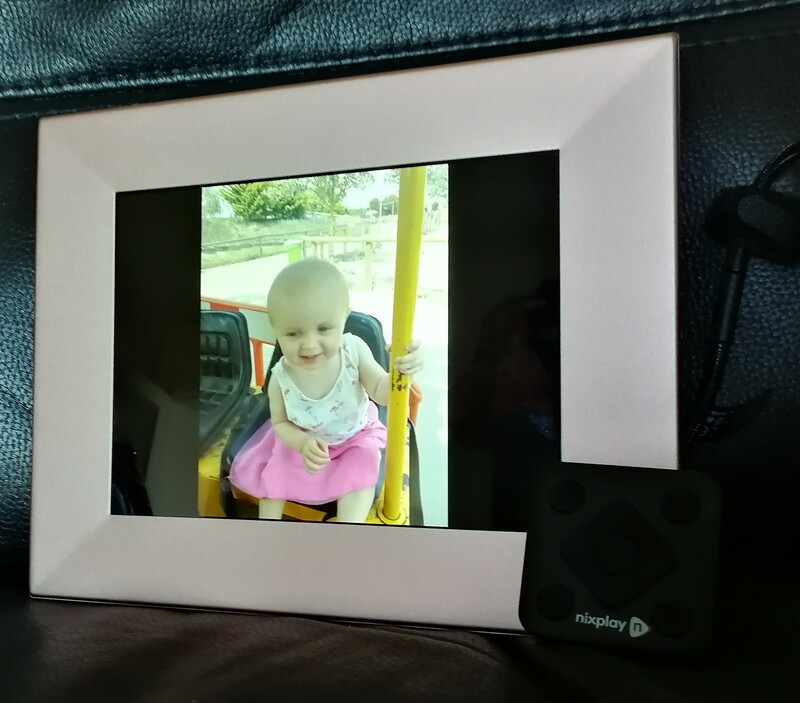 The frame also comes with a remote control with multiple buttons including power on/off, brightness and play/pause should you wish to stop on a particular photo or video. Something we found great (which can be set up in the settings) is the activity sensor. You can set the frame up to run all the time or get it to utilise the activity sensor and turn off when it realises no one is around. This has already made a great addition to our house. 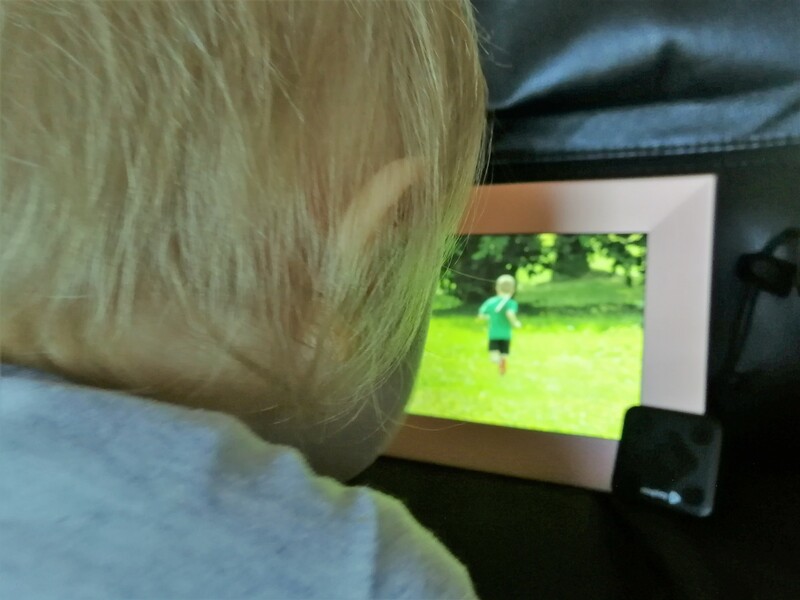 Olivia is absolutely obsessed with it – she calls it her ‘TV’ and likes to sit there and watch it, yelling out the names of the people she sees. It has been really nice showcasing some of my favourite photos that probably wouldn’t have been showcased otherwise and I also like that I can add to my playlist of photos from the app on my phone. 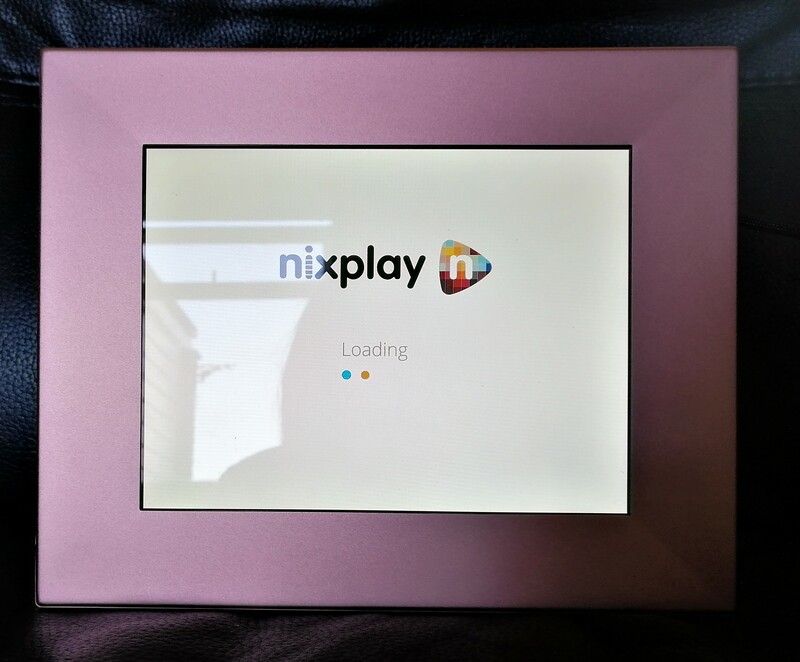 The Nixplay Iris 8 inch retails at £169.99 and is already very popular in our house. I’m considering getting some family members one closer to Christmas time as a gift as I think they would love it too – and we’d be able to share photos. How do you showcase the photos you take? That photo of Olivia sat watching it just melts my heart bless her! I’m so glad you enjoyed your frame and watching your photos be shared. I love these frames! Such a fab idea and it means you can get lots of photos in one place rather than having to put up lots of different frames! I love the peach copper colour too! I would love to have a digital photo frame myself. What a great product and definitely great as a gift idea too! I have so many photos stored on both my phone and memory cards but very rarely print any out or put them up as I would just want to replace them so often with newer pictures! This is a fab idea though! 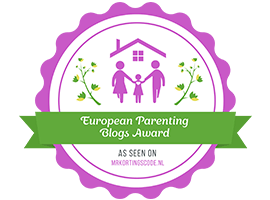 Oh we have something very similar to this – it’s such a fab idea isn’t it? I love to see my photos on display!